[Poll] How are you going to do DAMAGE in TESO? How will you do DAMAGE in TESO? What kind of play-style will you choose? Jesus I'm a sucker for bows, but since that trailer... everybody is. Think I'm gonna go Dual 1H now. 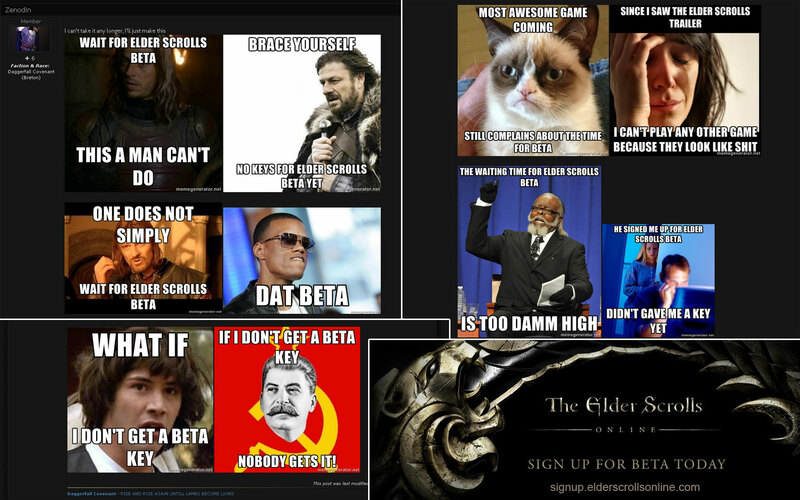 Daggerfall Covenant - RISE AND RISE AGAIN UNTILL LAMBS BECOME LIONS Want a TESO BETA Key? Plus, recently I made my first Argonian (loved it) sneaky archer, which is exactly what imma be! So yeah, Bows, for the most part. Daggers are secondary. FYI, In ESO, bows will have soft target. I see myself using a dual 1h build with a bow for backup. I'm game for about anything other than magic though. I am suprised to see that right now we have a majority of archers. I am typical sword & board wielder but carry a bow for ranged attack. (February 6th 2013, 09:05 AM)CedarLilly Wrote: I am suprised to see that right now we have a majority of archers. I am typical sword & board wielder but carry a bow for ranged attack. I would like to have one character to wield dual weapons though I don't know which one yet. I am thinking perhaps a Redguard sword singer? O_O c'mon my fellow mages where are you? The largest Shield ever and an axe....(or a spear...plz give me a spear) I will use a bow at need, if that stays an option. 40% of players are (currently) looking to use bows. Looks like those years of archery and stealth being OP in the TES franchise is taking its toll. Also, that ninja-rogue from the cinematic trailer probably has something to do with it.